Survivors of the world’s first known Ebola outbreak have immunity to the virus 40 years after they were infected, scientists have found. “It’s interesting to see that after such a long time, people still have this kind of reactivity against the virus,” says virologist Stephan Becker of the Philipps University of Marburg in Germany. The findings were published online on 14 December in the Journal of Infectious Diseases1. Becker says that the discovery was “not completely unexpected”, because previous studies had found that survivors had immune responses to Ebola virus as long as 11 years after they were infected2. But until last year, no one had ever studied immunity in the survivors of the first recorded Ebola outbreak, which occurred in 1976 near the town of Yambuku, in what is now the Democratic Republic of the Congo (DRC). “Nobody even knew if these people were still alive,” says Anne Rimoin, an epidemiologist at the University of California, Los Angeles (UCLA), and the lead author of the latest study. After the disastrous 2014–16 West African Ebola outbreak that killed 11,310 people, Rimoin decided that it was crucial to find the Yambuku survivors. Many of the tens of thousands of people who survived the more recent outbreak have ongoing health problems, such as eye and joint issues. Rimoin thought that doctors might gain a better understanding of what lies ahead for these people by looking at the Yambuku survivors. “The aperture for studying these people is closing, and they are our best opportunity to study the decades-long aftermath of Ebola,” Rimoin says. Her﻿ team worked with Sukato Mandzomba, one of the Yambuku survivors, to recruit participants to the study. The group used handwritten maps kept by infectious-disease doctors who worked on the outbreak, which killed 280 people, to find more survivors. Ultimately, 14 people enrolled in the study. Rimoin and her colleagues set up a mobile lab in Yambuku, and invited the 14 survivors to come to the town from the nearby villages where they lived. Rimoin’s team then collected blood from the survivors, stored the samples in portable freezers and drove them to labs in the capital, Kinshasa, or shipped them to the United States. There, researchers found that cells from all 14 survivors could make defensive proteins called antibodies in response to portions of the Ebola virus. This means that the survivors’ immune systems recognize the Ebola virus, probably because they have encountered it before. Immune cells from four of the survivors could prevent Ebola viruses from infecting other cells in the lab, indicating that these people are still protected from new Ebola infections 40 years after they became ill with the virus. It’s this type of immunity that researchers seek to mimic when they make vaccines against viruses, including Ebola; Rimoin says that the latest study could aid these attempts. Rimoin also wants to continue working with the Yambuku survivors to understand how their infections decades ago affected their lives and their long-term health. 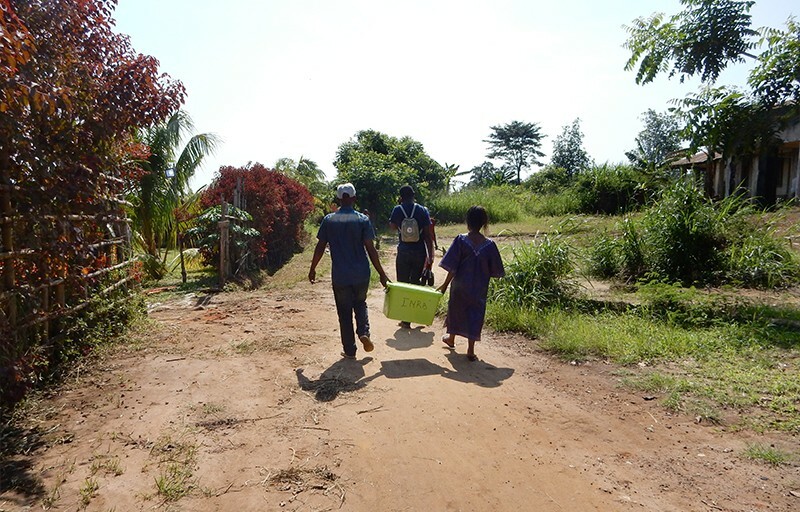 The Ebola outbreak devastated the villages around Yambuku. Whole families were wiped out, survivors returned to find their homes and belongings destroyed, and children were moved to orphanages, says Nicole Hoff, country director for the UCLA–DRC Health Research and Training Program in Kinshasa, who has worked with survivors in Yambuku. One survivor walked 30 kilometres to Yambuku with his adult son to participate in the study, Hoff says. When the man and his wife caught Ebola in 1976, their son was placed in an orphanage 100 kilometres away. The survivor’s wife died of Ebola, but the son escaped from the orphanage and ran home to help his father with his farm. Rimoin, A. W. et al. J. Infect. Dis. http://dx.doi.org/10.1093/infdis/jix584 (2017). Corti, D. et al. Science 351, 1339-1342 (2016).